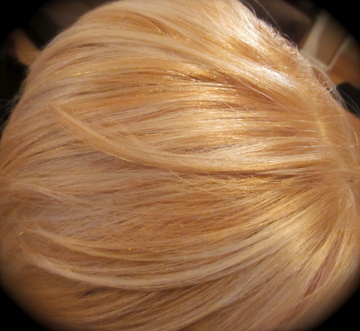 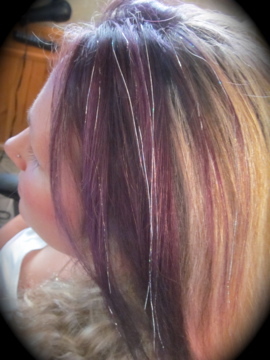 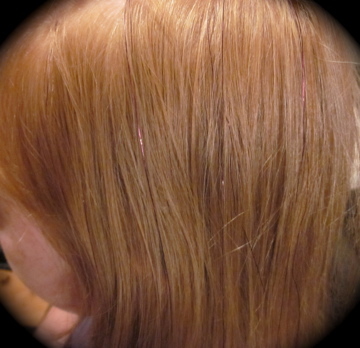 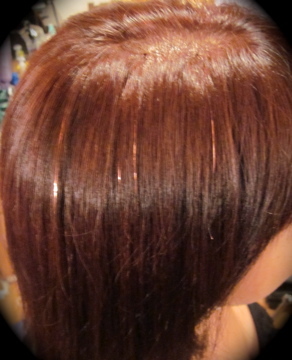 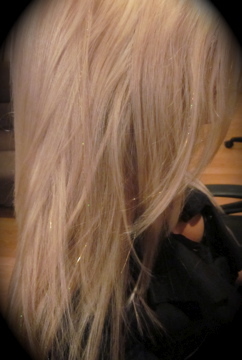 Subtle "highlights" that add a little shimmer ! 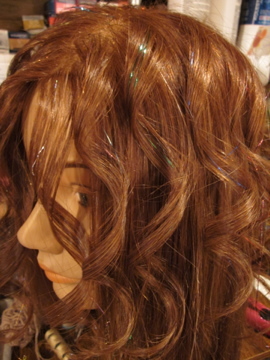 Lasts 2 - 5 weeks but can also be installed for just one night! 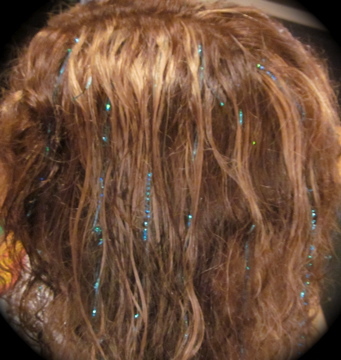 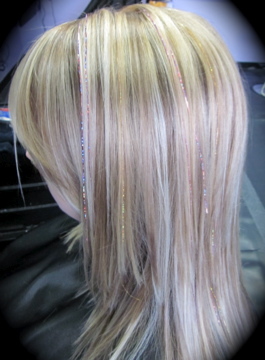 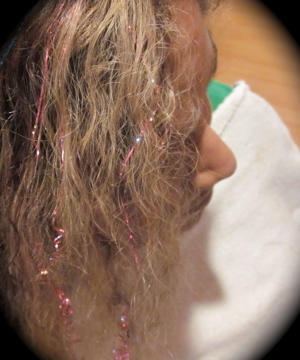 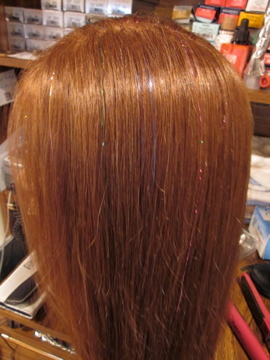 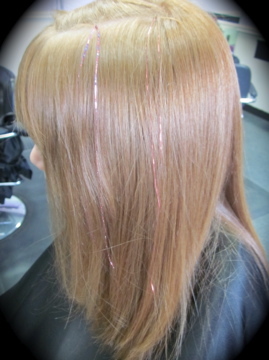 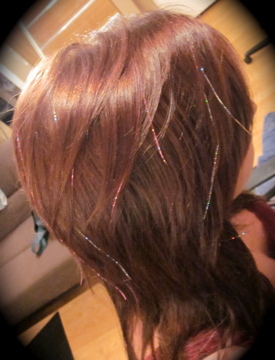 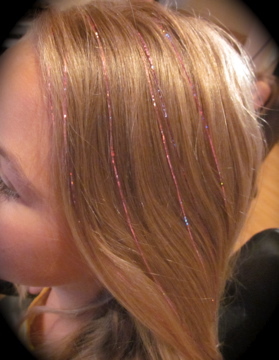 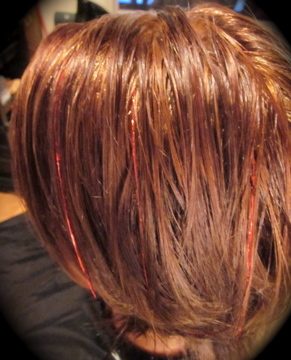 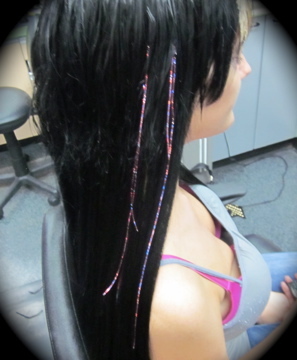 Installation: One pieces of tinsel is tied into a few strands of your hair in a series of knots. 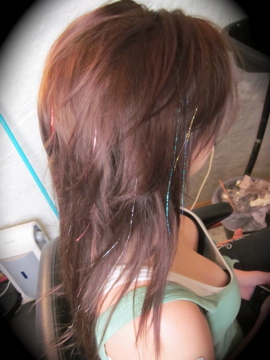 It is not damaging unless you purposely rip them out. 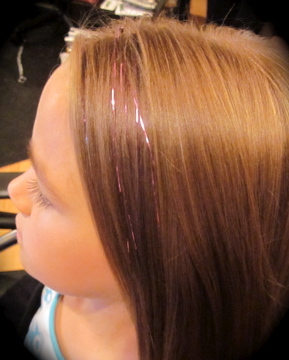 They grow out with your hair and then fall out naturally or in your brush when combed out. 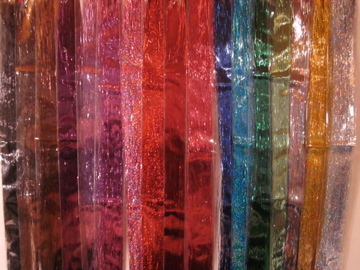 Lowest price out there !!! 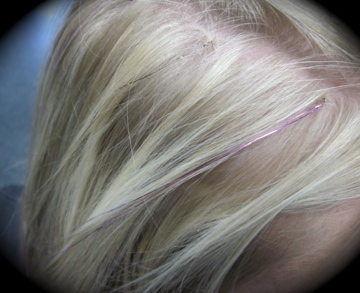 $1 per strand to install !